Joachim Schmid — Textfield, Inc.
Ed Ruscha — Books & Co.
Gagosian Gallery is pleased to present an exhibition of Ed Ruscha’s legendary artist books together with books and works of art by more than 100 contemporary artists that respond directly and diversely to Ruscha’s original project. 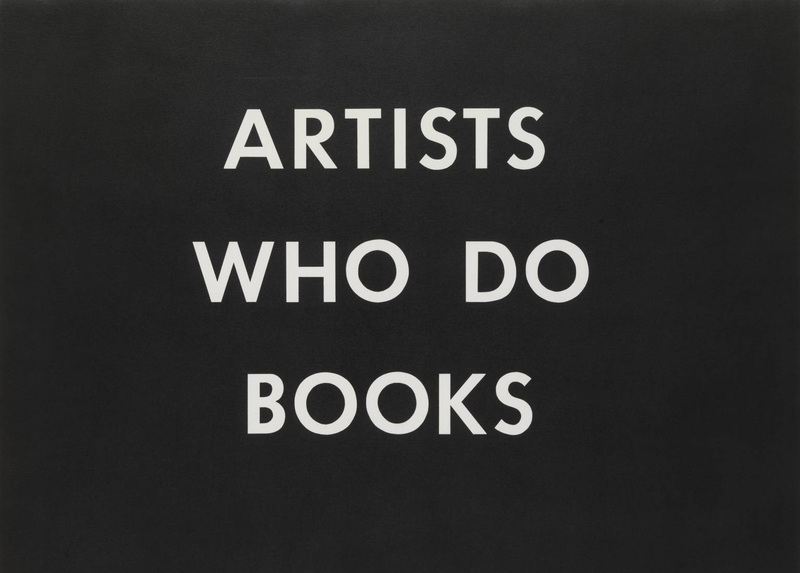 Organized by Bob Monk, “Ed Ruscha Books & Co.” has been drawn from private collections, including Ruscha’s own. Most of the books are installed so that viewers can interact with them and browse their pages. Inspired by the unassuming books that he found on street stalls during a trip to Europe, in 1962 Ruscha published his first artist book, Twentysix Gasoline Stations under his own imprint, National Excelsior Press. A slim, cheaply produced volume, then priced at $3.50, Twentysix Gasoline Stations did exactly what its title suggests, reproducing twenty-six photographs of gasoline stations next to captions indicating their brand and location. All of the stations were on Route 66, the road mythologized by the eponymous TV series and in John Steinbeck’s The Grapes of Wrath. Ruscha’s book traveled more or less west to east, from the first service station in Los Angeles, where he moved as a young man, back to Oklahoma City, where he grew up. 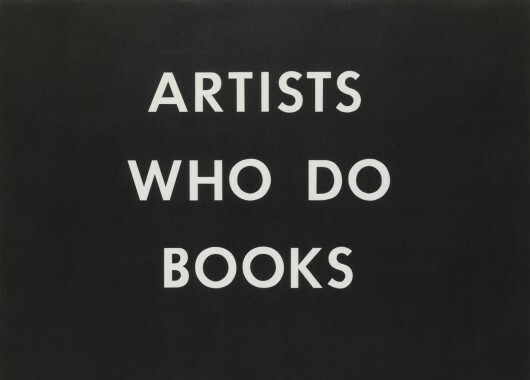 Initially, the book received a poor reception, rejected by the Library of Congress for its “unorthodox form and supposed lack of information.” However, during the sixties it acquired cult status, and by the eighties it was hailed as one of the first truly modern artist’s books. Ruscha followed up Twentysix Gasoline Stations (1962) with a succession of kindred publications, including Some Los Angeles Apartments (1965), Nine Swimming Pools and a Broken Glass (1968), and Real Estate Opportunities (1970), all of which combined the literalness of early California pop art with a deadpan photographic aesthetic informed by minimalist sequence and seriality. ABC Artists’ Books Cooperative, Noriko Ambe, Edgar Arceneaux, Eric Baskauskas, Luke Batten / Jonathan Sadler (New Catalogue), Erik Benjamins, Victoria Bianchetti, Doro Boehme, Jeff Brouws, Denise Scott Brown, Wendy Burton, Stephen Bush, Corinne Carlson, Dan Colen, Julie Cook, Jennifer Dalton, Bill Daniel, Claudia de la Torre, Joshua Deaner, Jen DeNike, Eric Doeringer, Stan Douglas, Harlan Erskine, Frank Eye, Kota Ezawa, Robbert Flick, Jan Freuchen, Jochen Friedrich, Thomas Galler, Anne-Valérie Gasc, Steve Giasson, Simon Goode, Oliver Griffin, Daniel S. Guy, Dejan Habicht, Marcella Hackbardt, Sebastian Hackenschmidt, Karen Henderson, Mishka Henner, Kai-Olaf Hesse, Taro Hirano, Marla Hlady, Dominik Hruza, Steven Izenour, Sveinn Fannar Jóhannsson, Taly and Russ Johnson, Charles Johnstone, Rinata Kajumova, Henning Kappenberg, Jean Keller, Shohachi Kimura, Julia Kjelgaard, Joachim Koester, Sowon Kwon, Tanja Lažetic, Gabriel Lester, Jonathan Lewis, Jochen Manz, Michael Maranda, Scott McCarney, Mark McEvoy, Jerry McMillan, Daniel Mellis, Martin Möll, Dan Monick, Jonathan Monk, Simon Morris, Audun Mortensen, Brian Murphy, Toby Mussman, Maurizio Nannucci, Bruce Nauman, John O’Brian, Stefan Oláh, Performance Re-Enactment Society, Michalis Pichler, Tadej Pogačar, Susan Porteous, James Prez, Clara Prioux, Robert Pufleb, Joseph Putrock, Jon Rafman, Achim Riechers, David John Russ, Mark Ruwedel, Tom Sachs, Joachim Schmid, Andreas Schmidt, Jean-Frédéric Schnyder, David Schoerner, Yann Sérandour, Travis Shaffer, Gordon Simpson, Paul Soulellis, Tom Sowden, Kim Stringfellow, Derek Stroup, Derek Sullivan, Yoshikazu Suzuki, Chris Svensson, Eric Tabuchi, Elisabeth Tonnard, John Tremblay, Marc Valesella, Wil Van Iersel, Louisa Van Leer, Robert Venturi, Reinhard Voigt, Alex Von Bergen, Emily Wasserman, John Waters, Henry Wessel, Keith Wilson, Charles Woodard, Theo Wujick, Mark Wyse, Hermann Zschiegner. “Ed Ruscha Books & Co.” will coincide with the publication of MIT Press’s Various Small Books: Referencing Small Books by Ed Ruscha (2013), which documents ninety-one of the books inspired by Ruscha’s own, reproducing covers and sample layouts from each, along with a detailed description. Various Small Books also includes selections from Ruscha’s books and an appendix listing most of the known Ruscha book tributes.